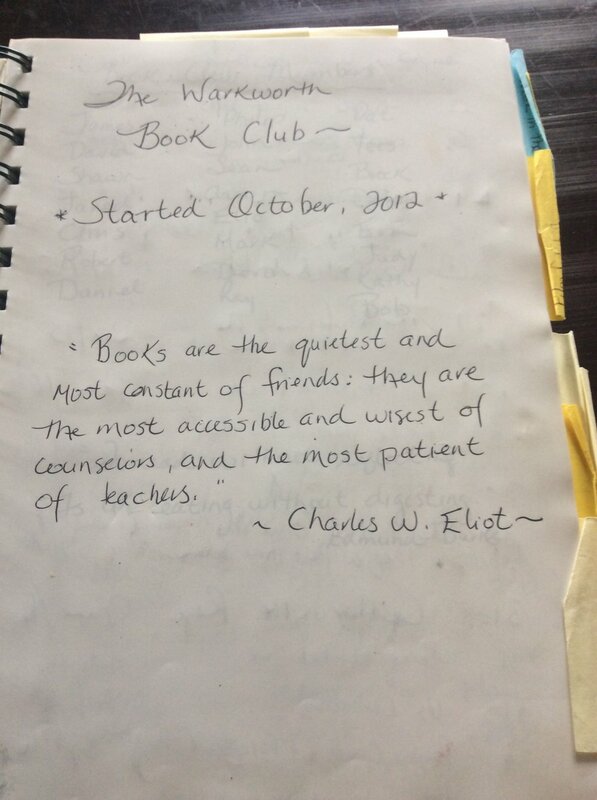 The Book Club Journal became part of our BCFI program during our first year; we are currently in our fifth year in Warkworth. The purpose is two fold....it allows an opportunity for members to reflect in a different way whilst working on written communication skills, and it also provides a record for us of the books read and the general feeling about different preferences for various genres. 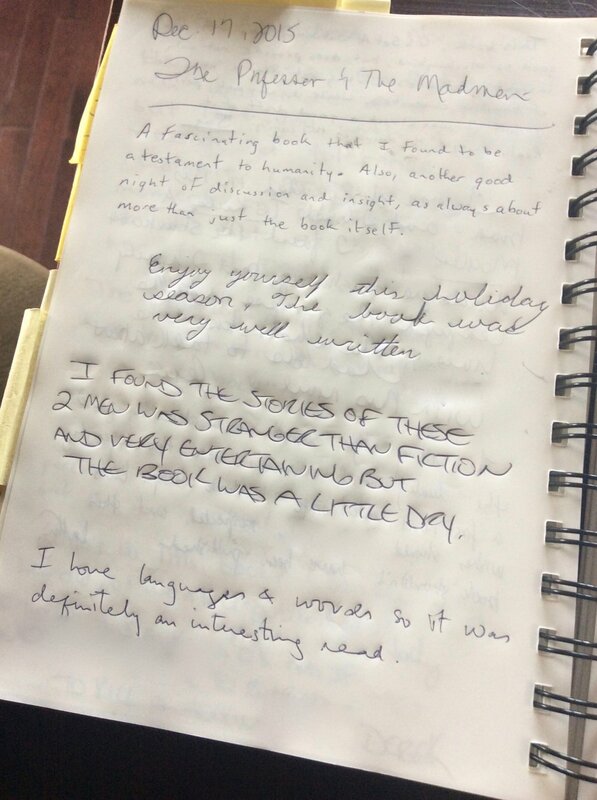 Occasionally the participants take the opportunity to reflect on other aspects of the book club such as thoughts on a guest speaker , musings on the communication within the group or recommendations for other literature. The tone is always positive, and participation is voluntary. The journal and a pen are circulated during the meeting so that the members write during our discussion, nothing is interrupted. From time to time, the facilitators will view the entries to see what, if anything, needs adjusting or revisiting. As facilitators we have found it a useful tool and would be glad to speak to any other clubs/volunteers that may have specific questions.